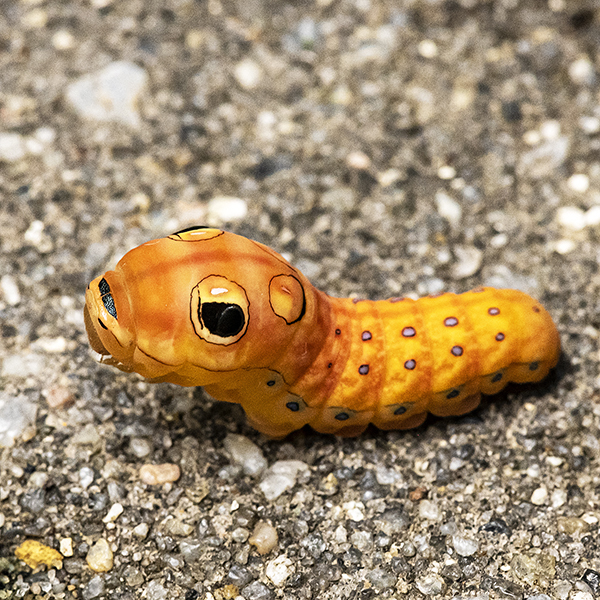 If you’ve ever wondered what the caterpillar of the Spicebush Swallowtail butterfly looks like here it is. 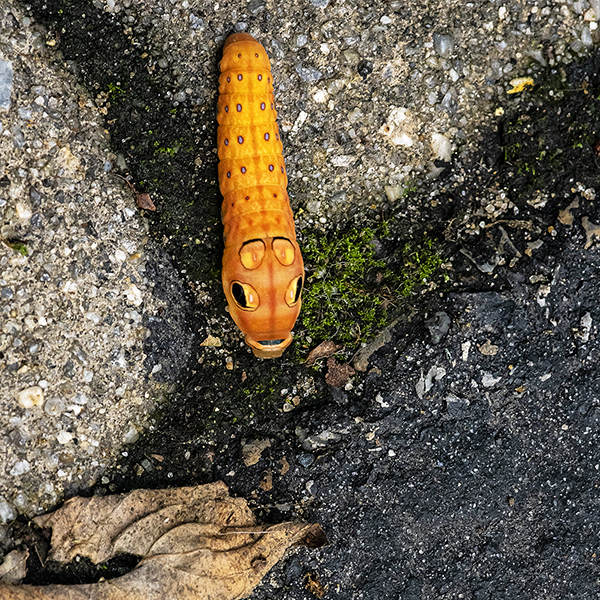 The beautiful mostly-black butterfly is common in my yard but I don’t recall ever seeing its caterpillar. 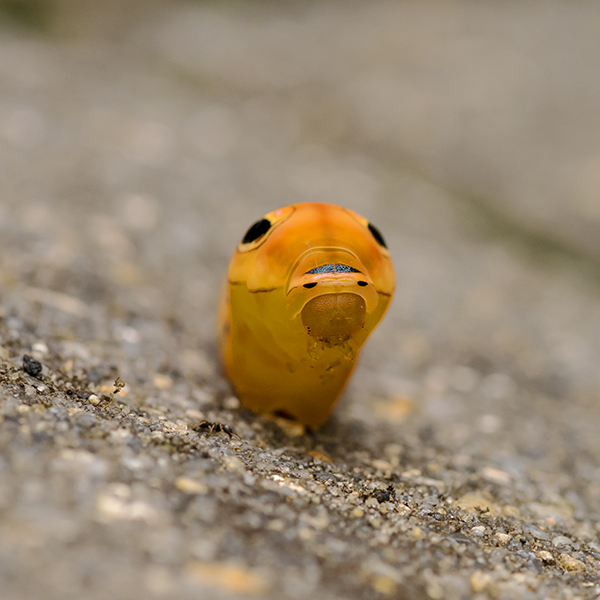 The caterpillar uses mimicry of eyes and a mouth to look wicked scary to possible predators. 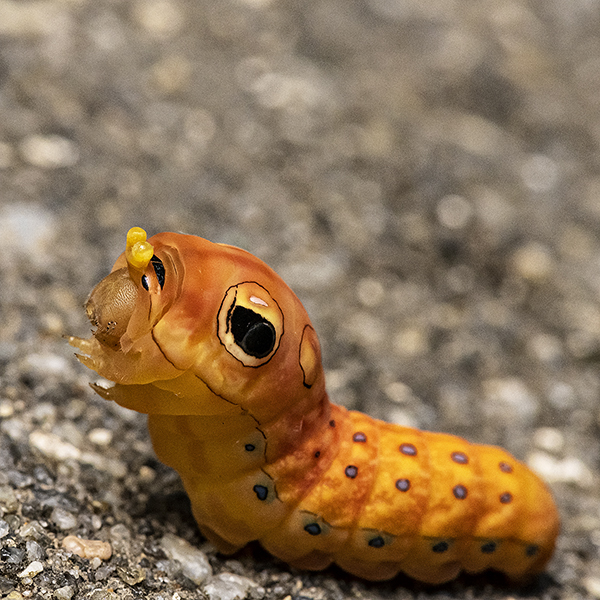 The last two images show the real head of the caterpillar. Pretty interesting find in my garden yesterday. 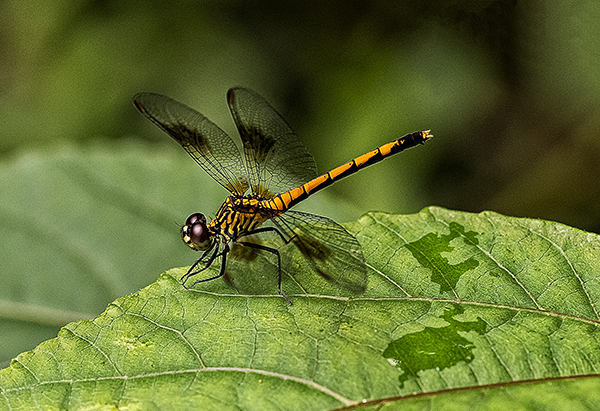 This dragonfly, an Orange Meadowhawk, is seen regularly in my yard. 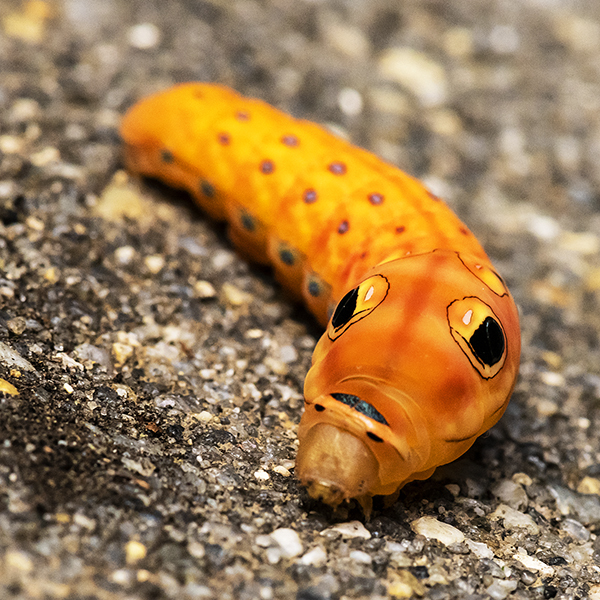 I like seeing them for not only their beauty but for the fact that they feed on mosquitoes, flies, and ants among other insects. I thanked this one for stopping long enough for a quick portrait then off it went to find more protein. 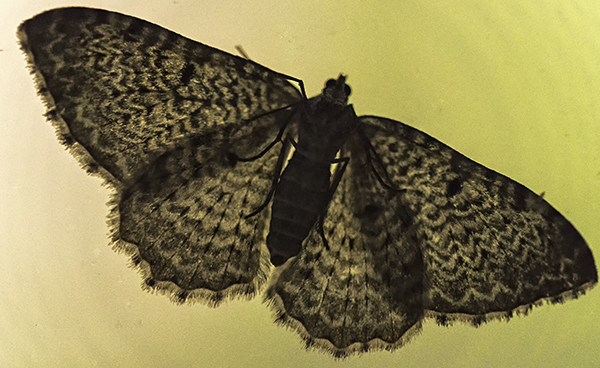 I found this little guy spending his cloudy day resting on a windowpane in my garage. Love his delicate pattern. When it rains something like 25 out of the past 30 days one has to work with the conditions that are presented. 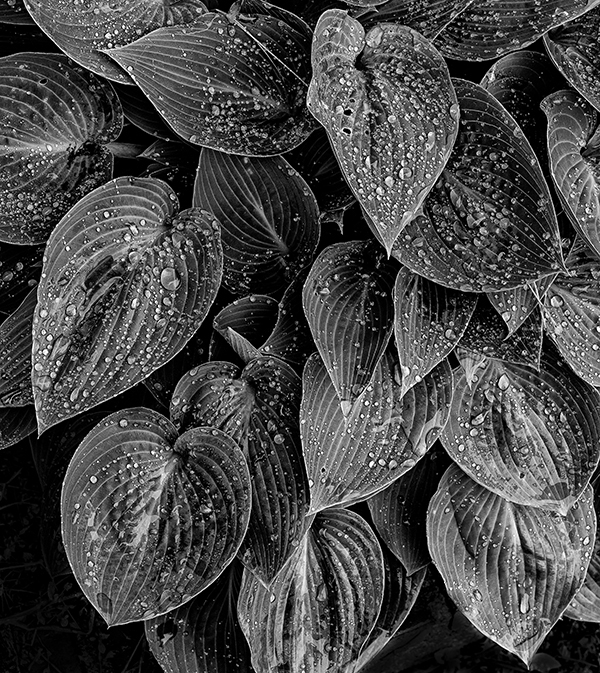 This hosta plant offered a rich assemblage of lines, textures and shadows. Well, at least the rain is good for plants and we photographers have to make dew (ouch)! You never know what you will find when you take a walk in the woods on a fall day. Thank you Eliot Porter for inspiration many years ago. There are many remote, peaceful areas along the Delaware shore where one can beachcomb on beaches that rarely see another human visitor. 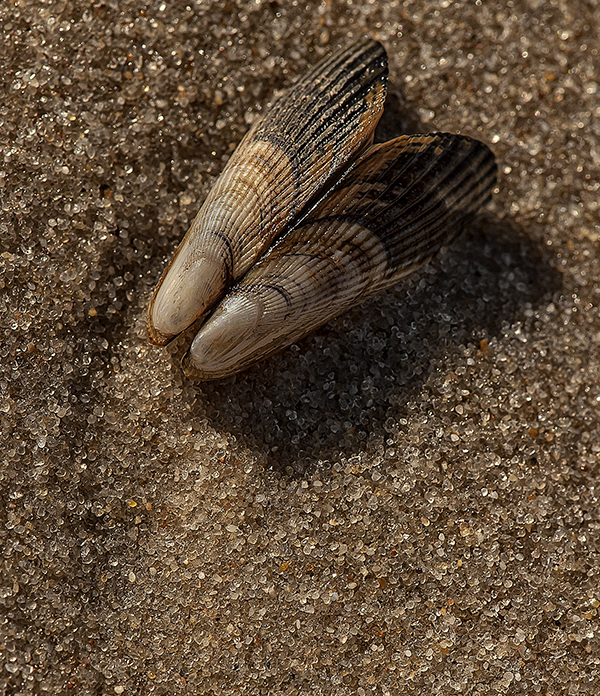 On these beaches can be found simple, elegant and beautiful things to find in the tide line such as this ribbed mussel shell. In its weathered, symmetrical still-hinged form I see simple, natural beauty. There is a slight depression to the left of and below the shell where wave water that deposited the shell washed back to the bay. This very small shell in a large patch of sand with nothing else around it caught my eye. The texture, color and hint of the force that put it there was what brought me to photographing it to share. Sometimes it really is the little things in life. 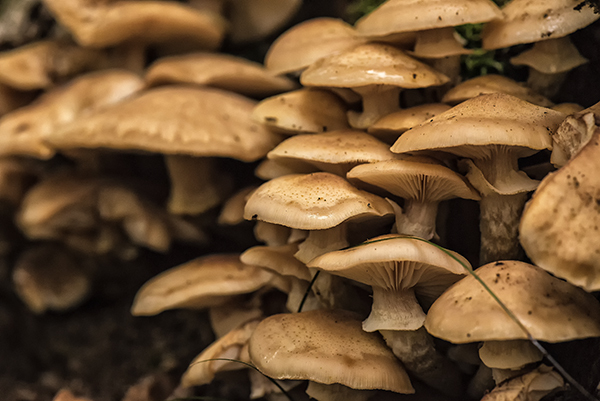 Cool dampness in the woods brings out the best fungi. 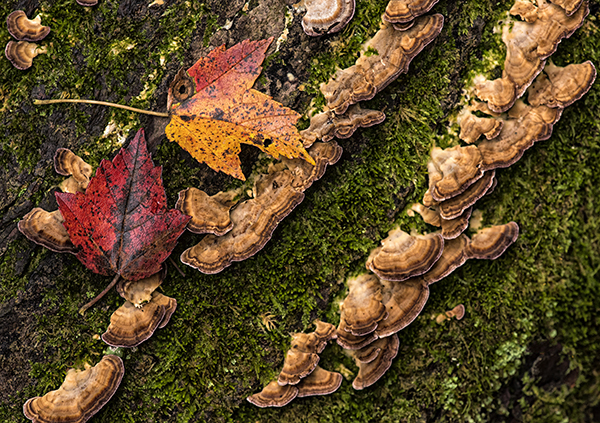 Perhaps not the most beautiful residents of the forest, their pattern and form attracted my eye. This group surrounded the trunk of a tree in a large ‘colony’, if that is an appropriate term for a large group of funguses. 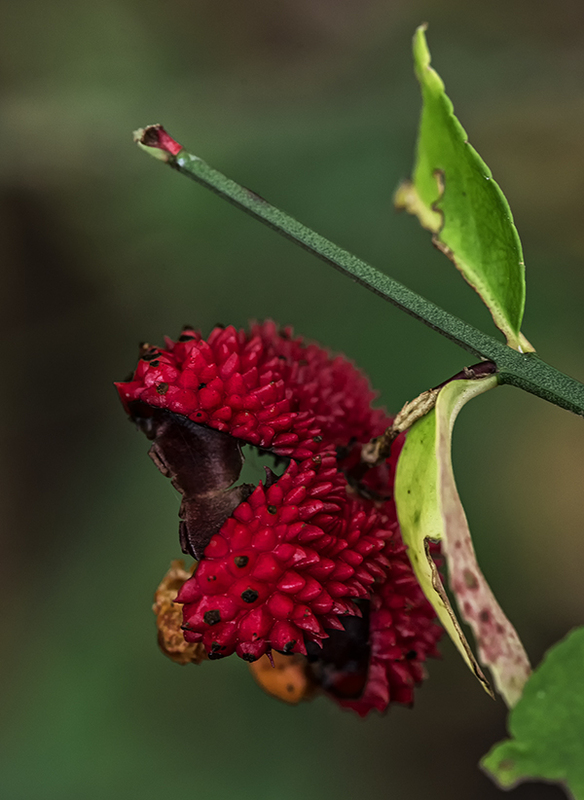 I have seen these bright red seed pods in the woods this fall and have found out it is a native eastern woodland plant called strawberry bush. It is apparent how it got its name. Apparently deer love it and it is hard to find where there are a lot of hungry deer roaming the woods. 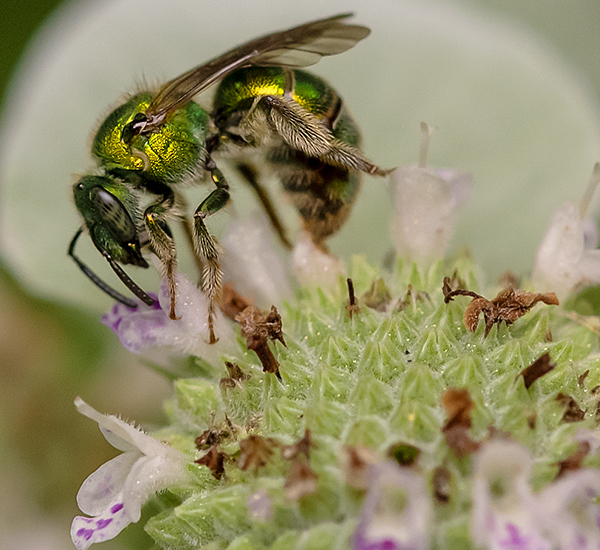 It caught my eye and so I knew to take a macro lens with me in the woods. I love beachcombing. And I love photography. Combining the two together is a natural pairing kinda like putting peanut butter and chocolate together. This still life scene caught my eye not only because of the colors, textures, shapes and arrangement, but because it reveals much about the variety of life along the shore. 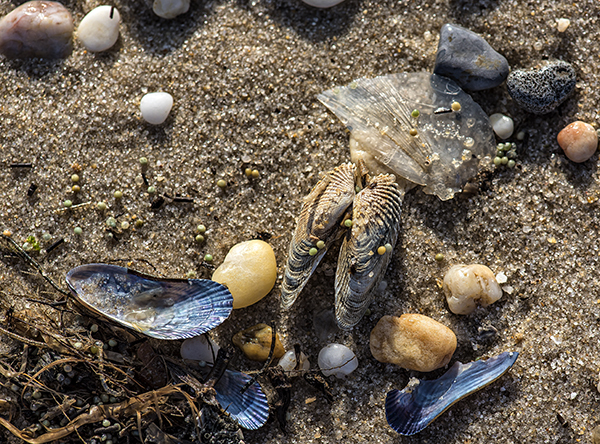 Different shells, a fin of a fish, seaweed, and the plentiful green horseshoe crab eggs show us what lives and thrives on our shore.